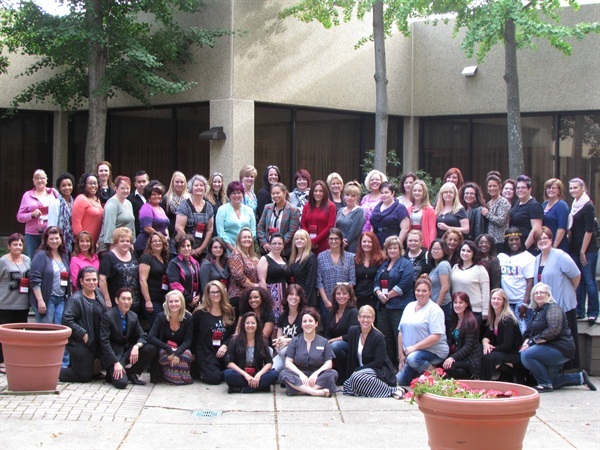 More than 60 nail professionals came together for a weekend of education and social interaction at the High Road to Education (HRTE) Buffalo on September 14-15, 2014. Hosted by nail tech Tammy Warner, this event featured educators Lorena Marquez, Gina Silvestro, Amy Becker, Traci Dungan, Ami McClure, Joseph Pham, Tammi Merritt, Jennifer Wirth, Victoria Lys Hunter, and Jaime Schrabeck. Warner has organized more than 20 HRTE events across the U.S. and in Australia, Canada, and Singapore. The next HRTE will be in Las Vegas on March 15-16, 2015, featuring Catherine Wong and many other leading educators. Future dates and locations will be announced through the group’s Facebook page, www.facebook.com/groups/thehrte.